I am sorry to tell you that we that we are experiencing networking problems with an upstream service provider. Currently our website, sitebuilder and published sites are all affected. We have contacted our provider and will update this thread as soon as we have any further information. We are taking this situation very seriously and hope to resolve it as quickly as possible. concerned - hope it will be fixed soon! Yola have never had an outage that i've known of. But im sure it will be fixed soon. Thanks for letting us know....I was about to post and ask. this sux! ppl cant play my games! pls Get it fixed! Steven we all want Yola and our sites back up.But this is beyond Yola's control.This type of event is very rare and probably won't happen again in a long time. We're working hard to get this resolved. Thanks for your patience as we work on this. is the yola server down?. Our service provider is working as fast as they can to bring us back online. There will always be down time regardless of where your site is hosted.It is part of the nature of the beast and not anyone likes it....I have been with Yola for 2 years and this is only the second time my published site has been down for more than a few seconds. I have got to say..this is a first..but we still can't work with out our sites. When there is a tech issue and we can not change the content for a few hours ok so we can wait...but to have all the sites that are public to go down!!! Please do not think me unappreciative ..I love Yola you guys are great ..but this is costing me big time. We work USA times and it is a business site ..which means that we can not work till the sites go up again...lots of $ lost if they do not come back up again (like now!!). Please give me a time frame..it may pay to send the staff home. Hi Thomas. I am so sorry about the impact this outage is having on your business. If it is any comfort to you at all, we are also losing a lot of money right now, so believe me, we understand how you feel and we are highly motivated to fix it asap! Our staff are working as fast as they can so that your staff and all our other customers can get working again. Unfortunately I can't give you a time frame right now, because there hasn't been one communicated to us yet, but as soon as we have anything approaching a reasonable estimate I will share it with everyone. I hope you didn't loose to much work.Fingers crossed all will be back soon. I don't think its a DoS on Yola,I believe it is there hosting provider. Yes, definitely a DoS attack, sorry to say. Our hosting provider has confirmed this. This really is worrying, Yola say its an "attack". Now I remember only 5 months ago Yola had an incident where their servers where also attacked. Not wanting to panic but why are people trying to hack Yola ?? And what sort of measures are being put in place to stop attacks? Any idea when the down time will be resolved by? There are always malicious, bored or stupid people who want to try to break things that other people use. On the internet, this often takes the form of trying to attack websites. Currently, somebody is flooding our service provider's network, which makes it impossible for anybody else to gain access. They are working as hard as they can to block this flood, and we hope to be able to get onto our servers as soon as possible. Thanks for your patience while we deal with this situation - just know that we're doing our best to fix it for you! Technically they're not trying to hack into Yola's servers, Jeremy. What they're doing is sending a massive amount of requests (usually by utilizing a botnet of controlled computers) to the web servers that host our websites. Doing this can clog up the network, preventing legitimate requests from reaching the server. If the volume is high enough it can even crash the server, but no data is breached in these types of attacks. The objective is simply to shut down the service provider. Just started advertising my sight yesterday and now no one can see it - not good - how long until running again? Our servers are starting to respond nicely again. We would like to watch it for a few minutes before declaring victory, but it looks like this will all be behind us soon. how about the published sites? 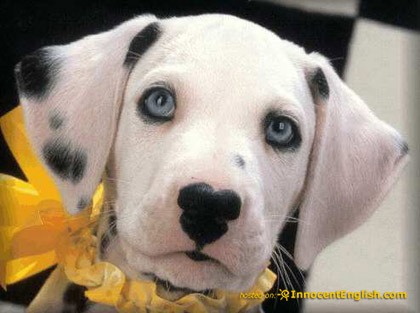 Eventually, please get our published sites online again, dalmatian trainers need me!!!!!!!!! Our hosts have managed to bring back everything except our published sites. Their IP is still under attack. They have told us that they are aware of how critical this is to our customers and are working as fast as possible to overcome the attack. We will continue to update this thread with the latest information. Please Yola, be faster... My website is really important for dalmatian trainers.. I beg you. Awwwww! We would never want to make such adorable puppies sad! We are going as fast as humanly possible, I promise! My sites still aren't back. Will check them again in a few more minutes. This is becoming all too frequent. What are you doing long-term? I understand your frustration. However, we have had close to 100% uptime for our published sites for many months now. If we look at the data these incidents are becoming less and less frequent. That doesn't make this incident any more acceptable though! Of course the aim is to eliminate service outages altogether, and we will continue to improve our infrastructure until we are as close to perfect as possible. It's not Yola's fault some jerk with too much time on their hands hacked their server. The most they can do about it is move to a new hosting server, and guess what. . . from time to time, they ALL get hacked. I've been an administrator at 6 different websites for the past 8 yrs, and every host we ever used has been hacked in one way or another. You can't complain too much when you get free hosting and all you have to pay for is your domain. Or you can even have a free domain. I wouldn't expect Yola to have redundant web servers for free web hosting. You get what you pay for. I've never had any trouble up until now, so I have no reason to complain. If I find that Yola can't support my needs I'll find someone who can, but for now I'm happy with Yola. Any web server can fall victim to a DDoS (Dedicated Denial of Service) attack. My site http://www.MasonMetu.com won't pull up on the web. I can pull it up via yola to update it. Is Yola having some maintenance issues now? I tried to pull up via Mozilla and IE and both say page can not be found. ahhh, good to know it's not me. these things do happen - I'm just thankful yola is so great and is up on it all.